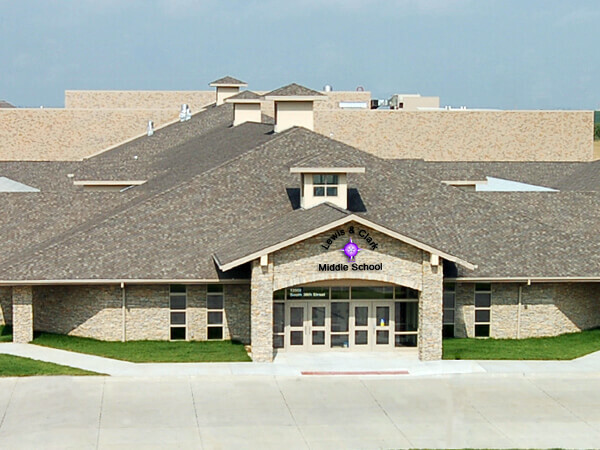 History: Named after explorers Meriwether Lewis and William Clark, Lewis and Clark Middle School opened to students in August, 2007 in Heartland Hills. The new, single-story middle school helped alleviate crowding at Logan Fontenelle and Mission Middle Schools. Seventh grade teams occupy the south wing of the building, while eighth grade teams use the north wing. The students share elective classes, gymnasiums, locker rooms, cafeteria, multi-purpose room, media center and computer lab. School Purpose: To develop students into productive and intellectually curious citizens within a global society.